Komrat (Agenzia Fides) - Turkish President Recep Tayyip Erdogan, during his recent visit to Moldova, reached an agreement with Moldavian President Igor Dodon, who fully implemented the status of political-administrative autonomy long since granted on paper to the Moldavian region of Gagauzia, inhabited by the Turkish Christians of Gagauzi (in Turkish Gökoğuz). In a meeting on October 18 in Komrat, capital of Gagauzia, also with governor Irina Vlah, the two Presidents - as reported by the Turkish media - defined the concrete steps to be taken to ensure the effective entry into force of the Gagauzia regional autonomy regime, and include these provisions within the constitutional laws of Moldova. 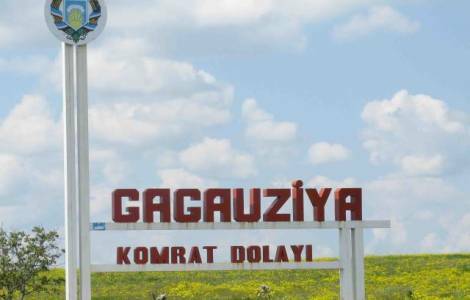 The insistence with which the Turkish diplomacy pleaded the cause of the Gagauzis with the Moldovan authorities gave rise to the singular circumstance of a government led by the Akp Islamist party of Erdogan - which promotes the autonomous demands of a population of Christian faith. The Gagauzi are the descendants of Turkish tribes. They settled in the Middle Ages in the south of the Danube delta, and then converted to Orthodox Christianity. Later, driven by Tsar Russia Alexander I, they moved to the Bessarabia area - currently in south-eastern Moldavia - which is still today their main settlement area. Currently the population of Gagauzi is composed of about 200 thousand people, that belong to the Oğuz ethnic group to whom the Seljuks and the Ottomans belonged, and from whom the Turks of Anatolia and the Azeris descend. "The same name gagauz - wrote the historian and analyst Carlo Pallard - seems likely to derive from oğuz, although there is no certainty about the meaning of the prefix 'gag-', perhaps a deformation of gök (sky)". According to Pallard "it is not possible to know when and how the Gagauzis embraced the Christian religion, and if earlier their ancestors had been Muslims for some time, as suggested by the use of the word Allah to refer to God instead of the original pre-Islamic Tanrı". After the collapse of the Soviet Union and the proclamation of independent Moldavia, in 1991 the Gagauzis chose to proclaim the independence of the Gagauz yeri (the Land of the Gagauzi). In 1994, after a period of tensions, a compromise was reached, with the creation of an autonomous gagauza territorial entity within the Moldovan nation. ASIA/INDONESIA - Indonesian Bishops' appeal: "choose good candidates"
ASIA/AFGHANISTAN - Fr. Moretti: "The democratically elected government cannot be cut out from an agreement"
ASIA/PAKISTAN - The Islamabad Declaration: "a step to defeat extremism"